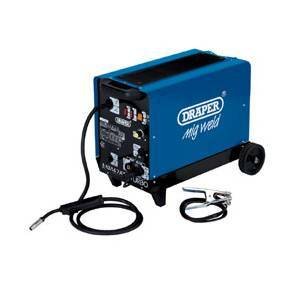 This 145Amp Draper dual purpose machine is capable of gas and no-gas welding using wire with a flux core. Welding of 4.5mm mild steel is possible using solid wire with diameters 0.6mm to 1mm and flux wire of 0.9mm. A turbo fan is employed for cooling the transformer to extend the duty cycle and thermal protection ensures there is no overheating. 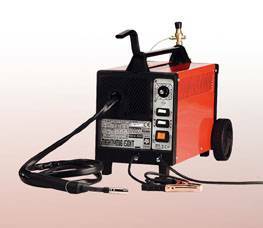 The torch is non-live for safety and this mig welder comes with a polarity switch, earth clamp, 0.6mm wire rollers and a 0.9mm flux cored wire spool to get you started.